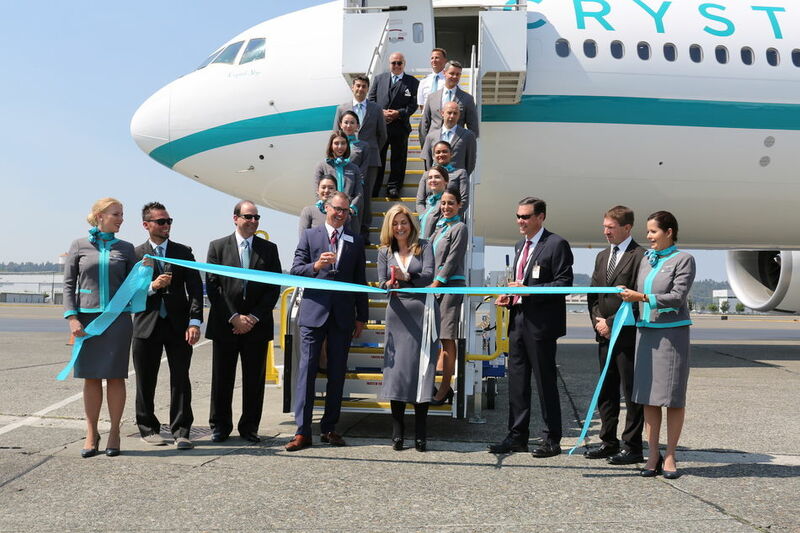 Crystal Skye, the largest privately-owned tour jet in the world, was handed over to Crystal AirCruises at a ceremony held at the Boeing Field in Seattle, Washington. The beautifully outfitted jet is available for charter service for up to 88 guests, and has a non-stop range of 19.5 hours. Crystal Skye features 180-degree lie-flat beds, the highest crew to passenger ratio of any twin-aisle aircraft, and a 24-seat social lounge including a bar. An executive chef will prepare meals in two galleys and wines will come from the Crystal SkyeCellar. Stone veneers, coloured LED lighting and other premium details adorn the extraordinary interior. 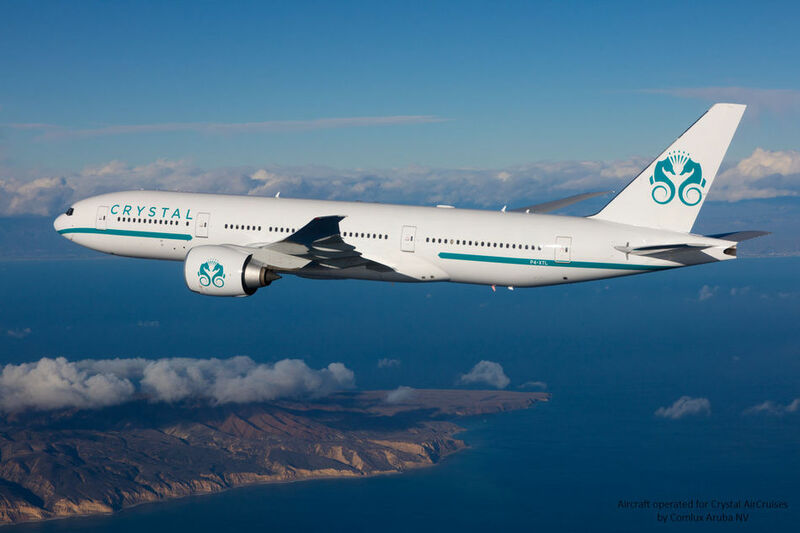 Crystal Skye will be christened in Las Vegas on 12th August.